World Cup 2012 in draughts-64 completed. 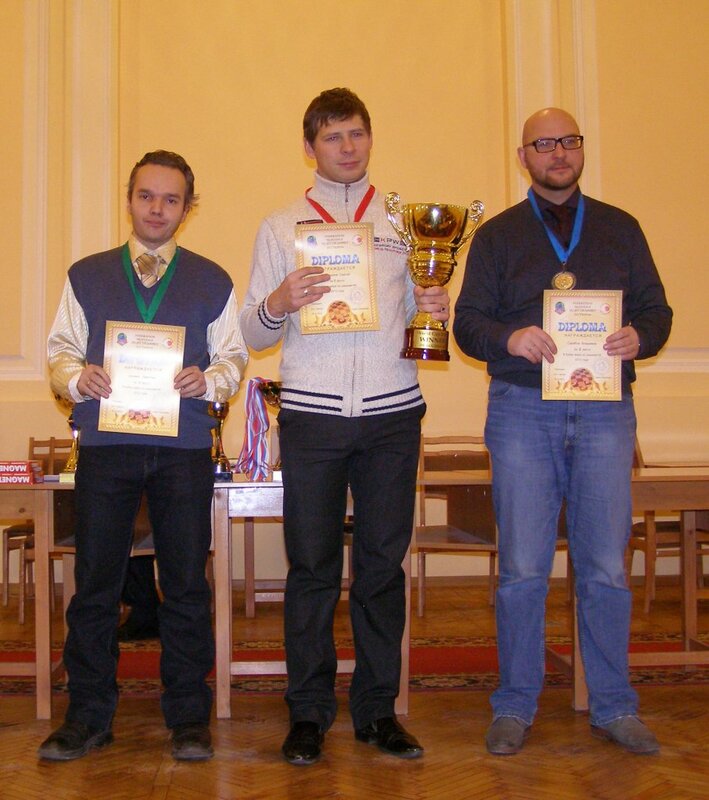 Belosheyev Sergey won World Cup 2012, Skrabov Vladimir took 2nd place and Tsinman Dmitry took 3rd place. Award ceremony took place during the closing ceremony of the International tournament in draughts-64 memory Vasily Sokov-World Cup Final.